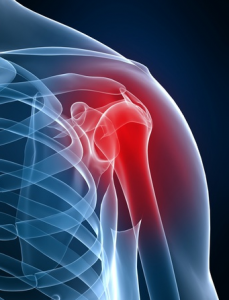 What are the Best Treatments for Shoulder Instability? Your shoulder is often one of the most mobile joints in the body because it helps you reach over your head, rotate your arm and lift your arm as necessary throughout the day. Unfortunately, this constant movement can result in lessening stability as you age. Sudden injury can also cause the head of your upper arm bone to come loose from the shoulder socket, resulting in instability in the arm. If your arm has come loose from its socket once, you will be at a higher risk for such episodes in the future. Taking efforts to address this issue can help you avoid the pain and risk of injury associated with shoulder instability. There are 2 main types of shoulder instability. One is due to a shoulder dislocation that causes bony and soft tissue damage. 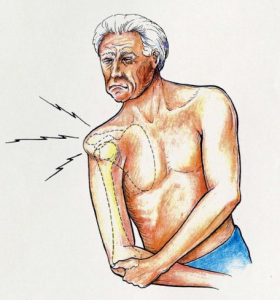 This increases the risk of additional dislocations and leaves the shoulder with instability. The second type of instability is due to lax tissues around the shoulder and is termed MDI. This stands for multi-directional instability. This is often seen in individuals who have congenitally lax soft tissues. Your Phoenix orthopedic doctor will need to perform an examination of your arm to determine if you are suffering from instability in the shoulder. Your shoulder doctor may begin with a physical examination of the affected arm, looking for loose ligaments. He may ask you to perform a variety of movements such as touching your thumb to the underside of your forearm to exhibit the instability in your shoulder. An MRI is often used to get a view of the soft tissue around the arm. This will reveal if any tendons or ligaments around your shoulder are loose which could contribute to instability. X-rays can also be used to determine if the bones which make up your shoulder joint are sitting in their proper locations. If your shoulder instability is minor your orthopedic doctor in Phoenix can prescribe a treatment plan that will span a few months to help relieve your symptoms. At the end of this time period your sports medicine doctor will evaluate your progress to determine if these efforts have been successful. Patients will be advised to take NSAID medications if their symptoms or therapy is causing them discomfort or makes the joint swell. You will also be asked to eliminate any activities that aggravate your shoulder instability such as lifting items over your head. Physical therapy will then be used to strengthen the muscles around the shoulder to increase stability of the joint. The type of exercises required will vary based on the bones or tissues that are contributing to the instability. 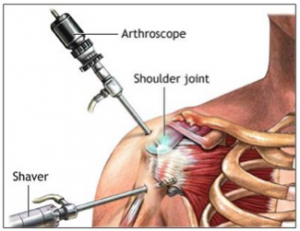 causing instability can often be repaired by an arthroscopy. This procedure uses small incisions to insert a camera and small instruments to make repairs to the tissues. This is often considered the first option for surgical treatment because it is minimally invasive. Patients with severe damage may require open surgery. This will involve making a larger incision so the shoulder surgeon can visualize the shoulder directly to perform a proper stabilizing procedure. After surgery the patient will need to wear a sling for a designated period of time. Once the sling has been removed you can begin rehabilitation exercises that will strengthen the ligaments in the shoulder to slowly return a full range of motion to the joint.